The said FAIR is holding for its 1st time in Myanmar. 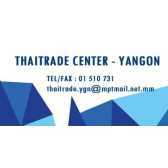 The fair is designed for a business matching between Seller from THAILAND to meet with Buyer/Partner in MYANMAR. Interested persons from Myanmar who doing business of films, productions, entertainments, concerts, TV channels are warmly welcome to match business with Thai partners. Entry is free of charge. Please click read more to view information of the current show, invitation, exhibitor lists and their profile in brief. If you'd like to know more detail, please feel free calling us at Yangon phones # 01 392579-80/ 09 260 155 584/ 09 263 940 904. 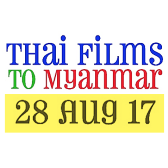 Leading Films & Entertainments companies from Thailand to meet with Business Partners in Myanmar and would like to introduce their products & services. 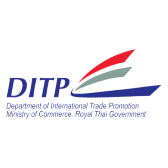 Department of International Trade Promotion, Ministry of Commerce of Thailand initiates this out-country activities and support its members for introducing Thai products & Services for its fine quality & skill to overseas.